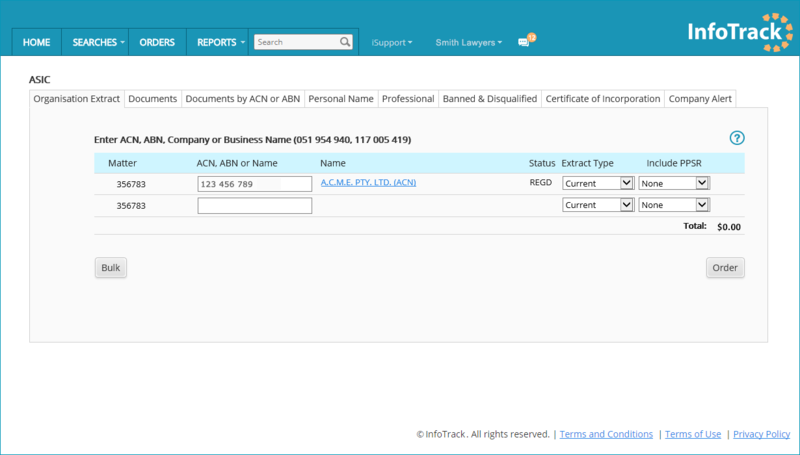 Reckon APS is an easy to use online accounting software with unlimited invoices, unlimited payroll and unlimited support. Reckon is perfect for anyone - consultants, small, medium and large businesses. 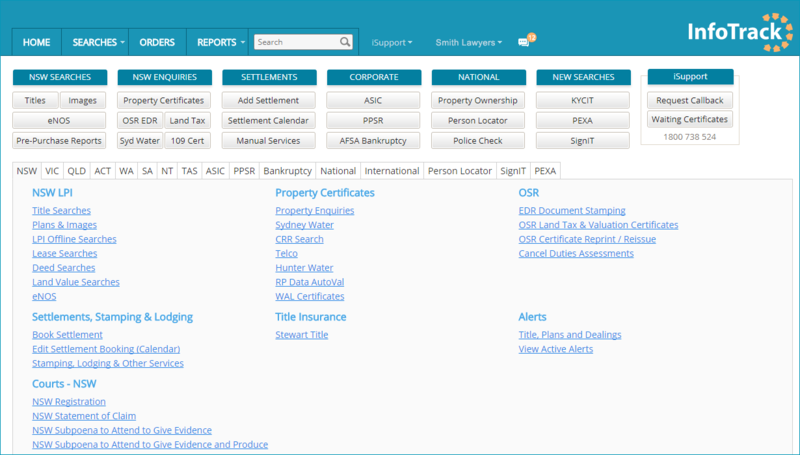 It has powerful functionality, scales with your business and saves you time. Book a Reckon integration demo below. 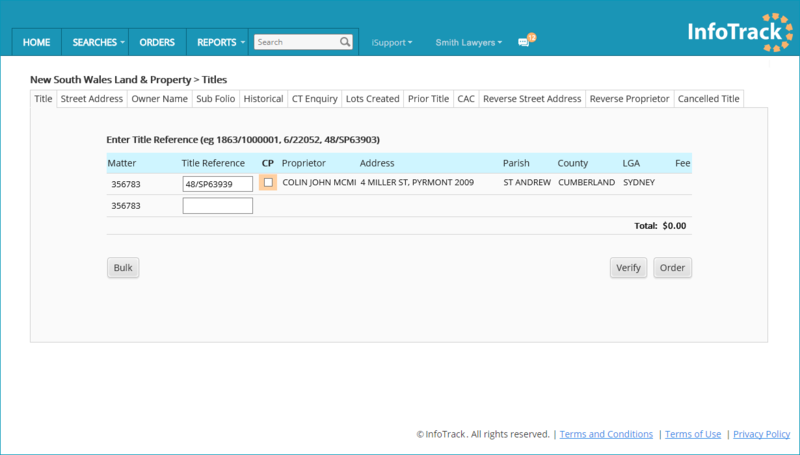 Launch an InfoTrack search from within Reckon by clicking ‘Action’. 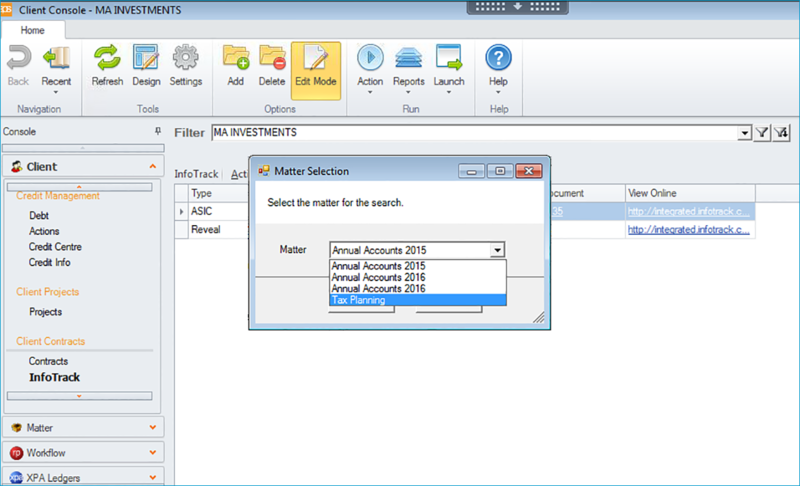 Completed searches automatically save under the matter. Select the matter you wish the search to be ordered under. 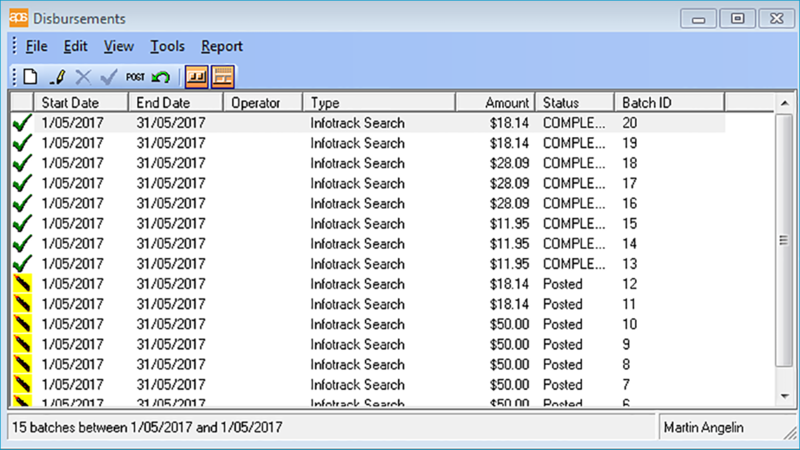 Completed InfoTrack searches automatically save under the matter. 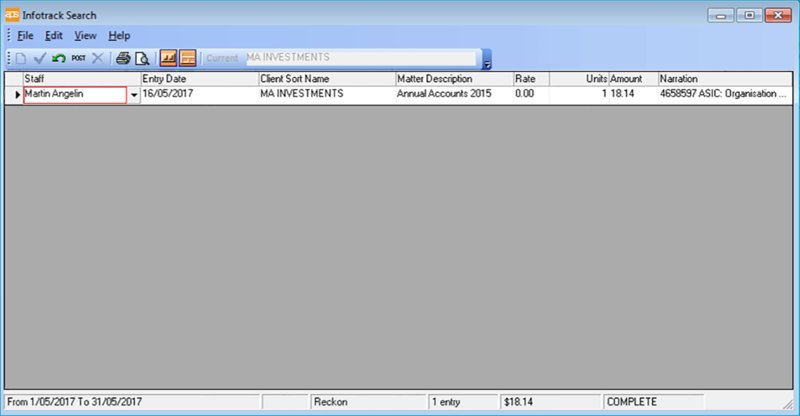 Search disbursements automatically upload into Reckon under the Disbursement tab. 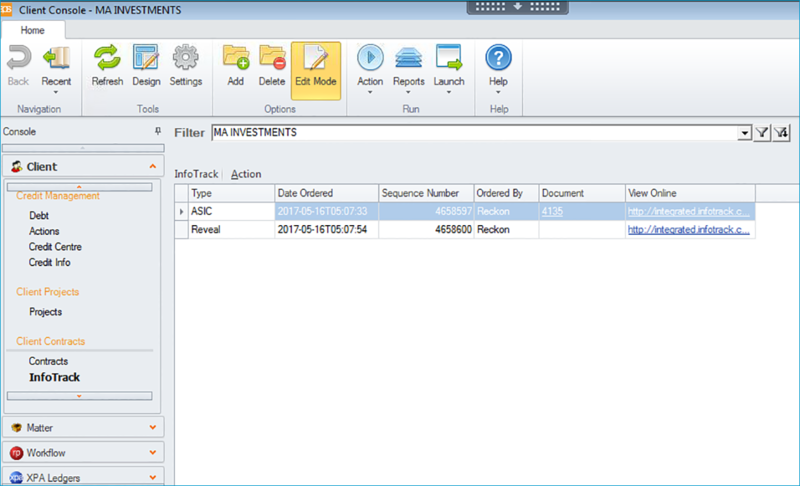 InfoTrack searches will list as line items under the InfoTrack Search tab, with the user clearly identifiable.